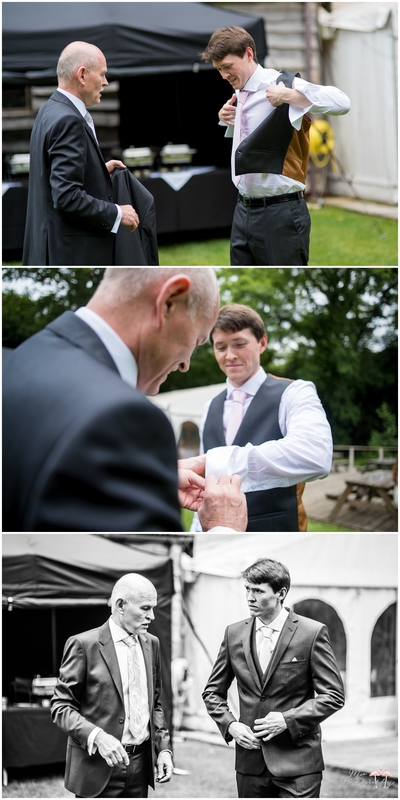 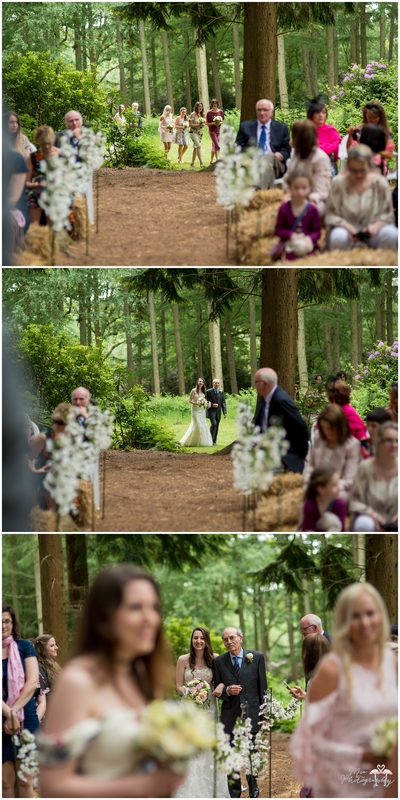 I am so lucky to live in Hampshire, an area where there are so many special and unusual weddings venues to be found. 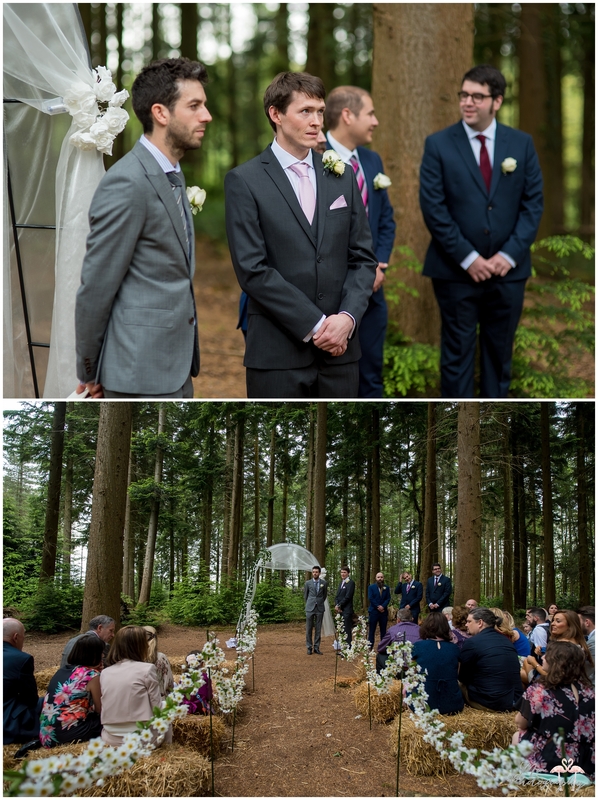 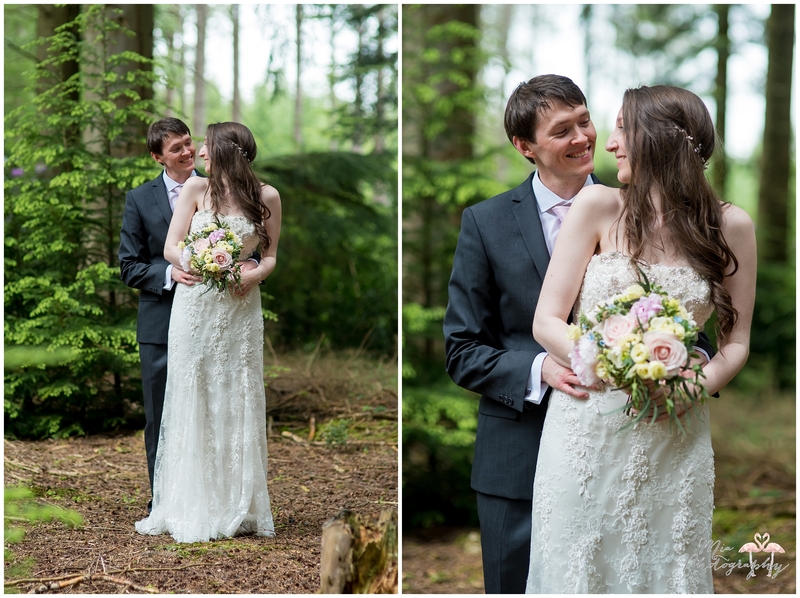 The fabulous Weddings in the Woods in The New Forest certainly falls in that category! 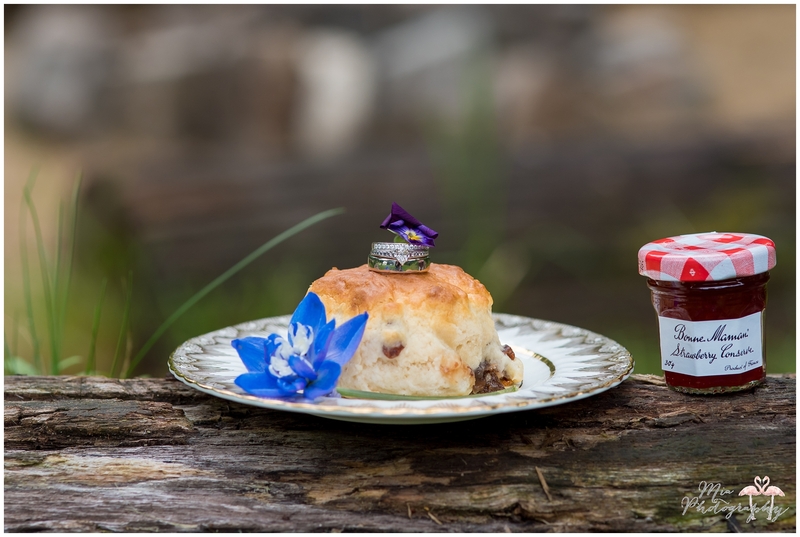 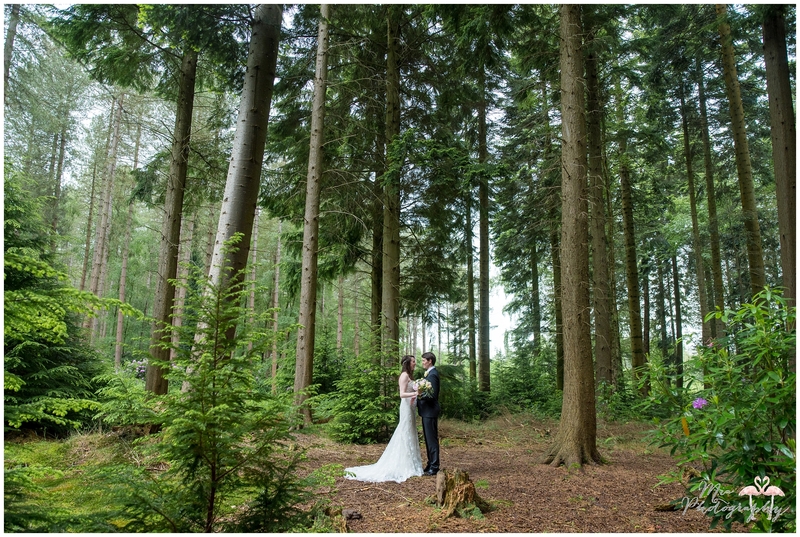 It is absolutely one of my favourites, it is simple and authentic with just a lovely little barn nestled in the magical ancient woods of The New Forest. 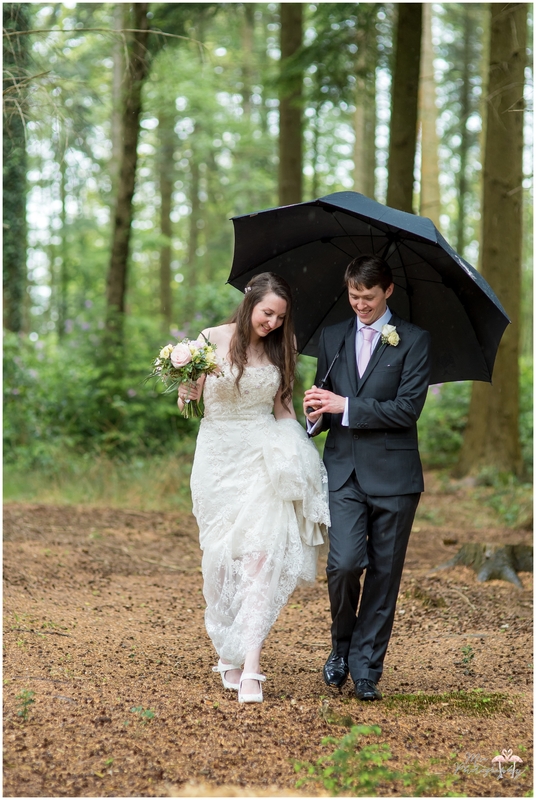 Gemma and Mark said their vows in front of their nearest and dearest outside in the great outdoors amongst the huge trees and just a few raindrops. 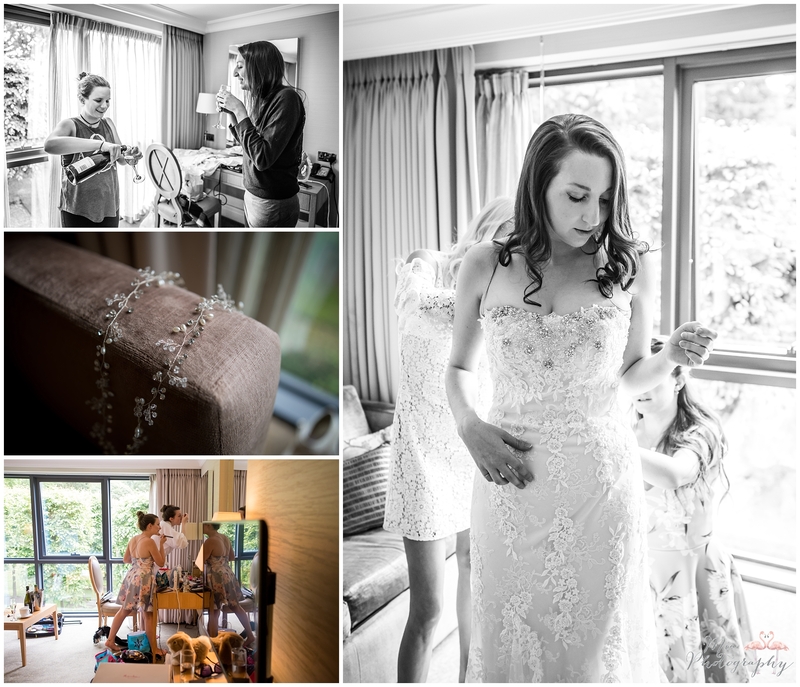 The bride looked magical in her embellished lace gown and the bridesmaids beautiful in their mismatched lace and floral dresses, a really different look the ladies pulled off so well! 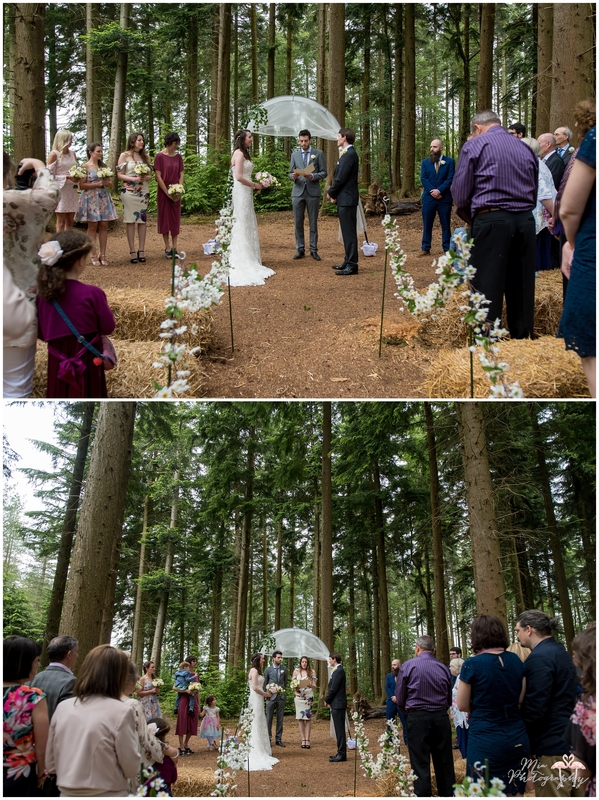 The ceremony area had the guests seated on hay bales and the aisle was draped in daisies, the happiest of flowers! 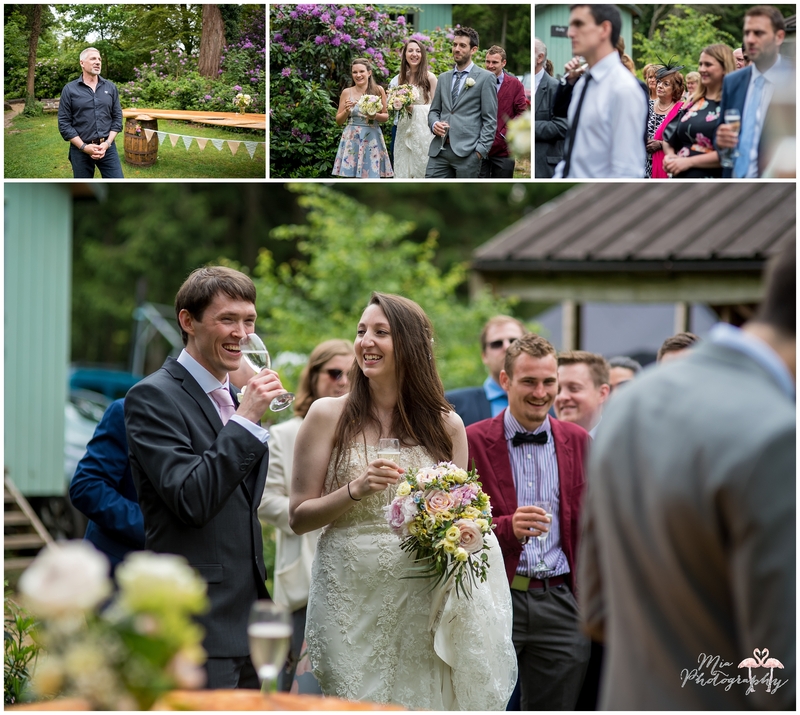 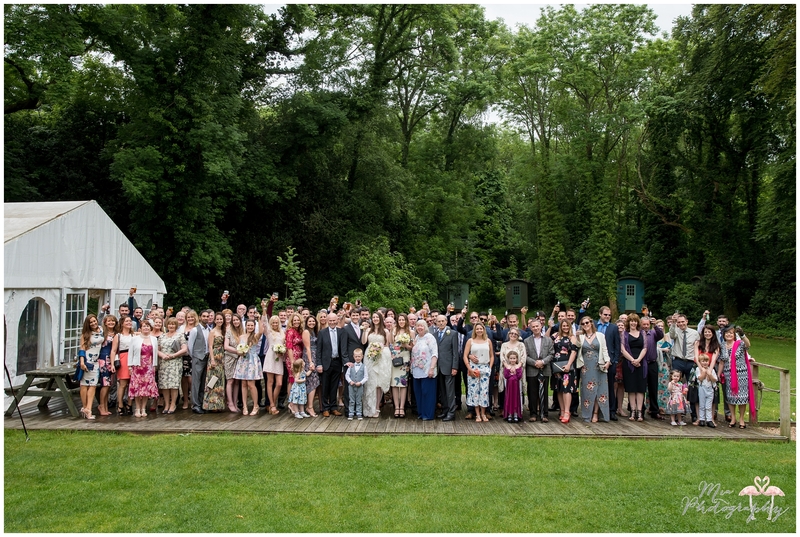 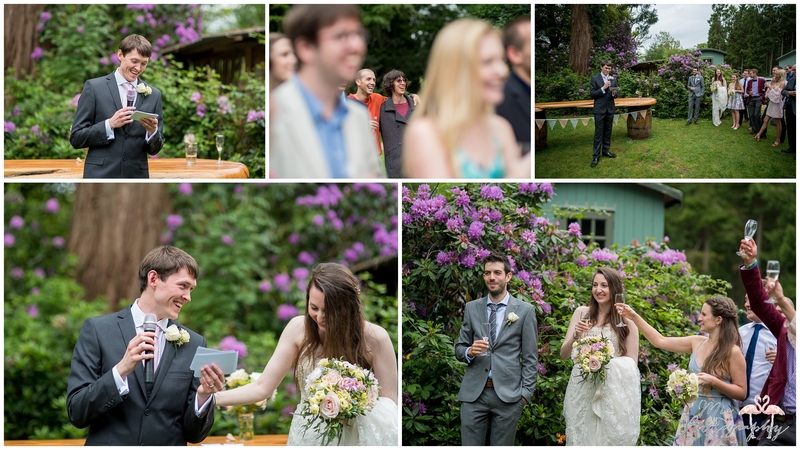 The few drops of rain didn’t stop Gemma and Mark and their entourage enjoying the lawn games and even the speeches were given al fresco! 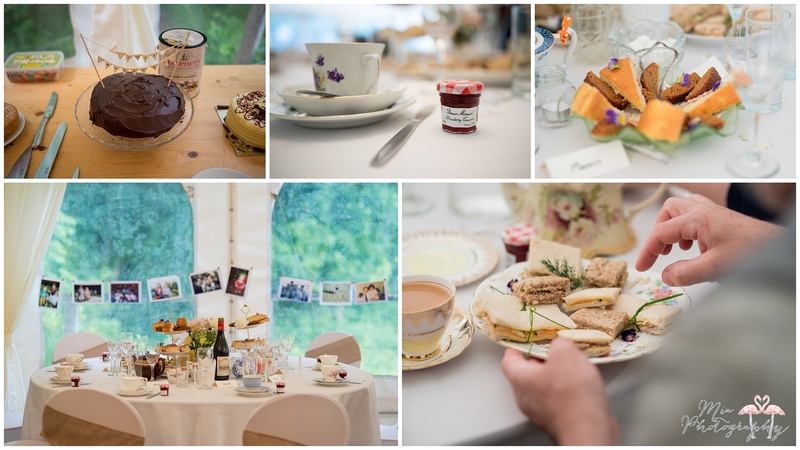 A traditional high tea was enjoyed by all in the marquee with a marvelous selection of cakes and wonderful treats! 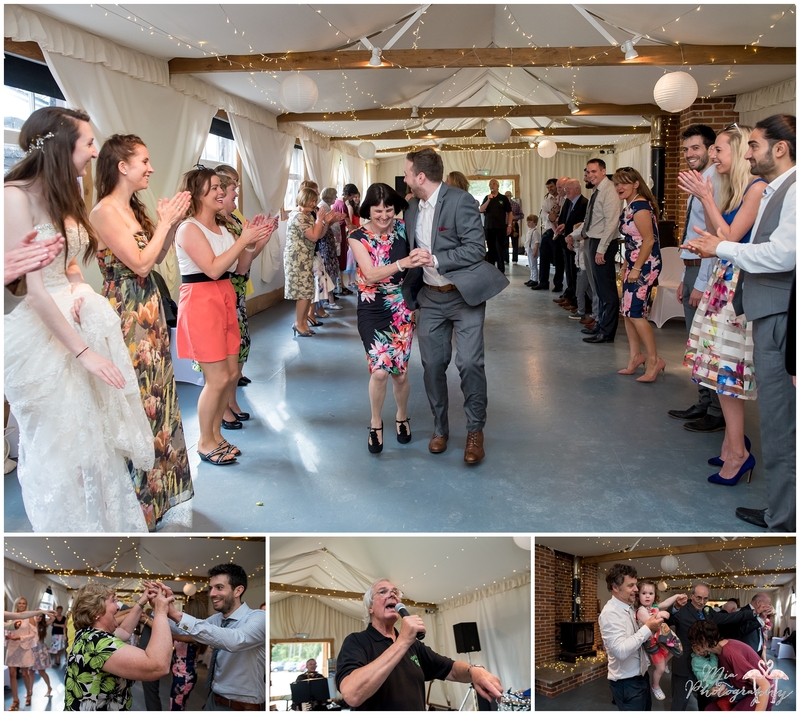 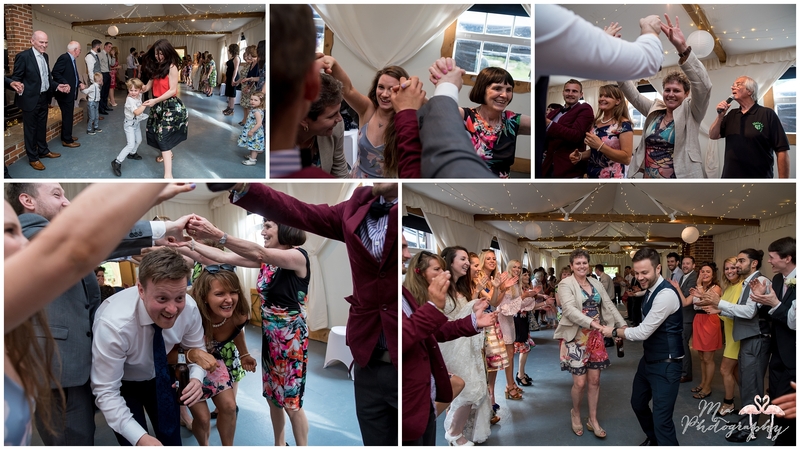 The dancing and singing and celebrating was such a delight to watch, everyone seemed to enjoy the day very much. 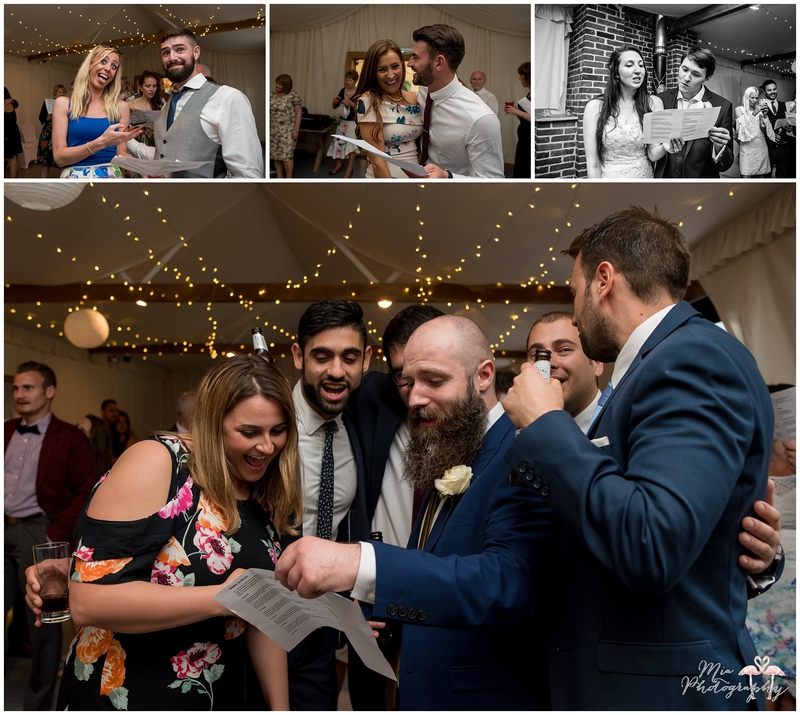 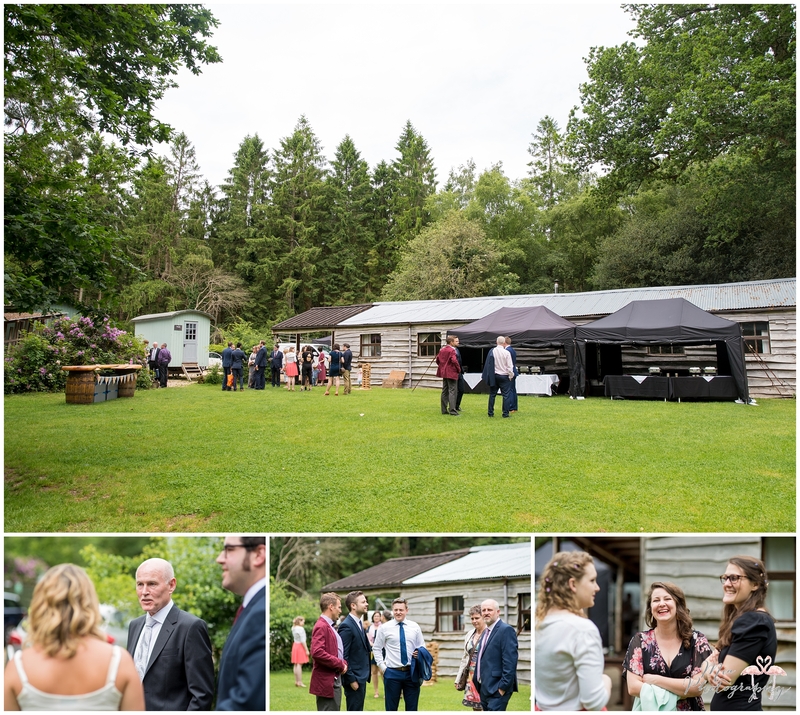 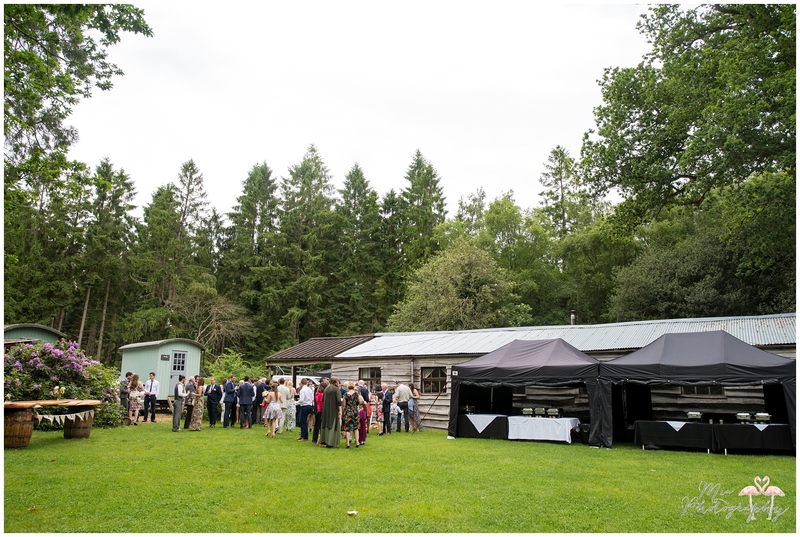 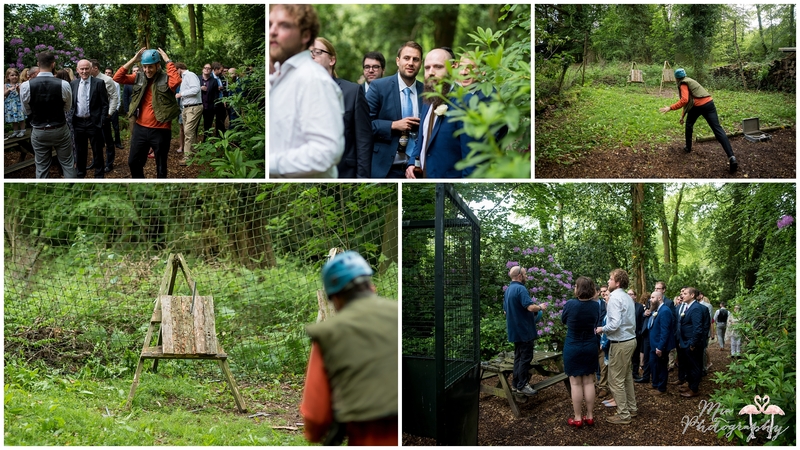 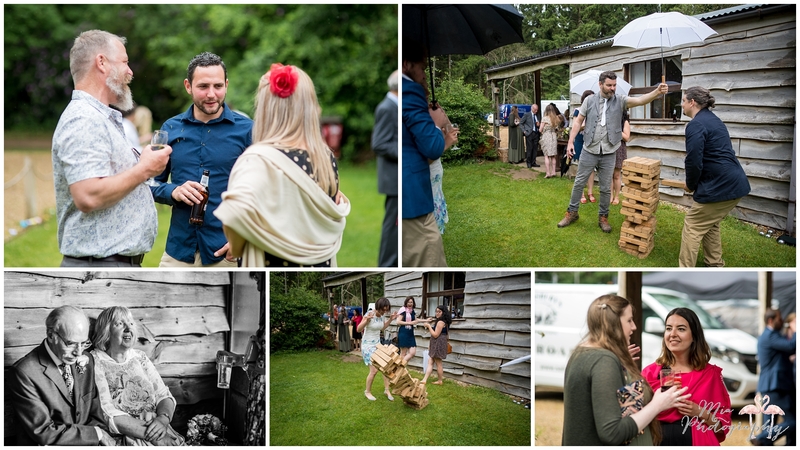 This was one of those weddings where everyone has so much fun, the adventurous guests were treated to axe throwing and rifle shooting… and I’m happy to report there were no fatalities even with the happy mix of weaponry and alcohol! 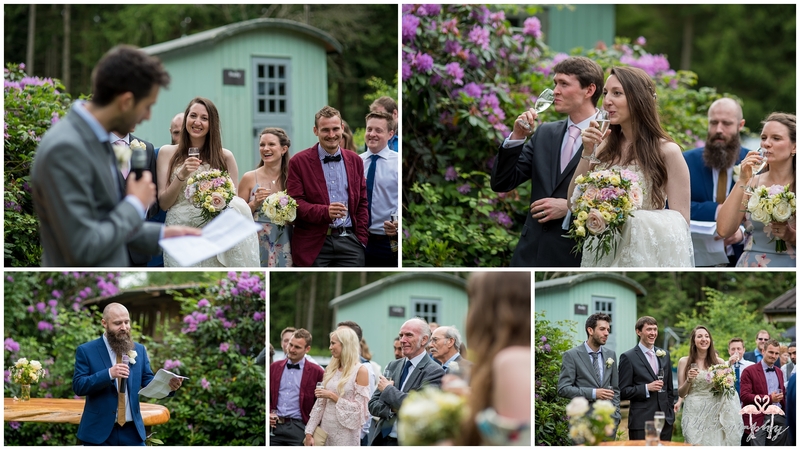 Even the bride and groom got to have a go at shooting – what fun! 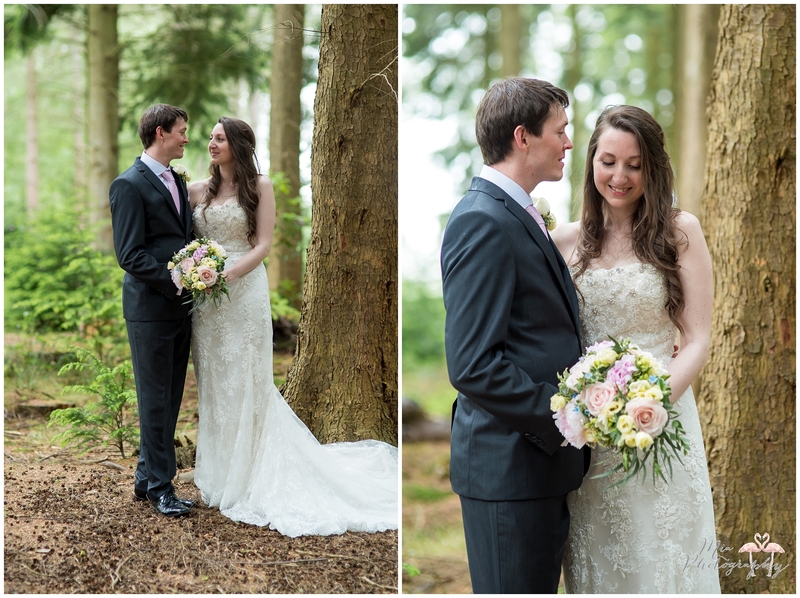 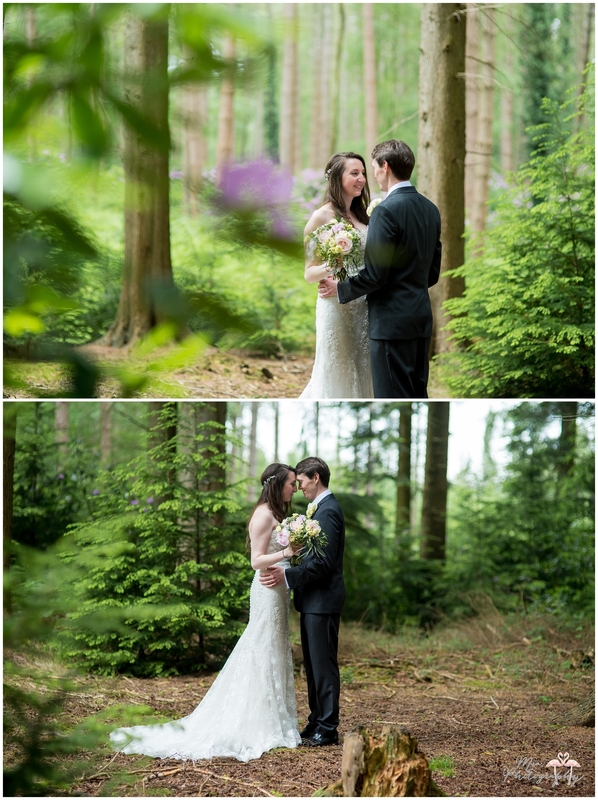 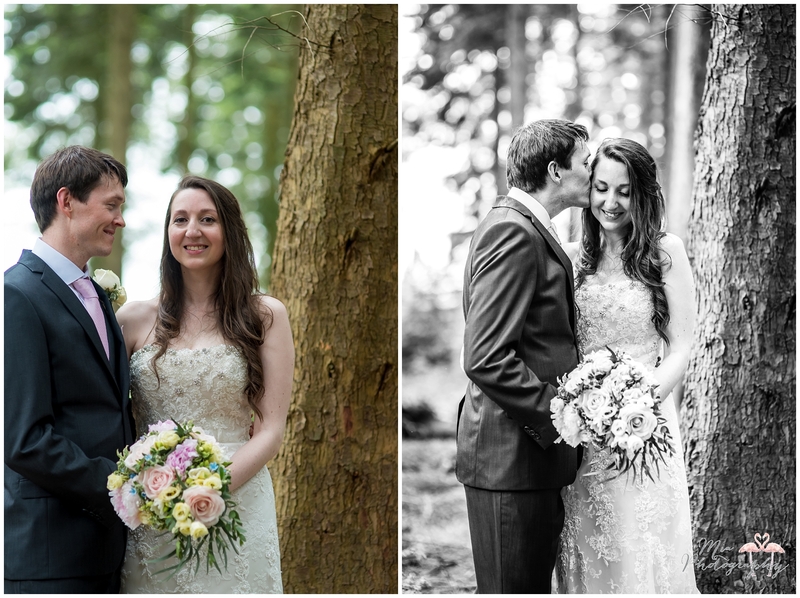 If you’d like to speak to me about capturing your Weddings in the Woods, feel free to email me here.